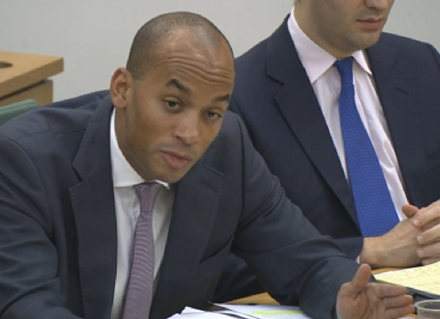 Labour MP Chuka Umunna has published his own statement as the Home Affairs select committee, on which he serves, published its report on anti-Semitism today. Today, we – the Home Affairs Select Committee, of which I am a member – have published our Report on Antisemitism in the UK, following our lengthy inquiry into the subject. We are a cross party committee made up of Conservative, Labour and SNP Members of the House of Commons representing different parts of the UK. Our report was agreed unanimously by all members. It does not make for pleasant reading. Here are some thoughts by way of an overview . . .
As we say in our Report, the social media companies are simply not doing nearly enough to tackle this – they must devote more resources, employ more staff to identify hateful and abusive users, and remove foul material. It is ironic that the Committee’s own tweets on this inquiry have attracted antisemitic abuse – Twitter has not seemingly done anything proactive to address these tweets, an experience common to many. – applying double standards by requiring of Israel a behaviour not expected or demanded of any other democratic nation. Of course, it was impossible for us to do this inquiry properly without looking at antisemitism in politics. The media coverage of our report may give the impression that antisemitism has only been a problem in the Labour Party because of recent events but, as our Report makes clear, that is not the case – all of the main political parties have had various controversies and problems with antisemitism in recent years. However, I am a Labour Party MP and activist – naturally, although I want to see all antisemitism stamped out, I have a particular concern that the Labour Party should live up to the principles we were founded to promote and not turn our back on them. Clause IV of the Labour Party’s Constitution states that we work to create a society “where we live together freely, in a spirit of solidarity, tolerance and respect.” It goes on to elaborate what this entails, stating clearly that this involves building a “just society” which promotes “equality of opportunity and delivers people from the tyranny of poverty, prejudice and the abuse of power”. From the evidence we have taken (you can read the transcripts in our report), any objective observer will conclude that the Labour Party has failed to deliver on all our principles in the way that it has handled recent incidents of antisemitism – we have to be big enough and honest enough to admit this. For what it’s worth, in conducting this inquiry with Committee colleagues I have not shied away from robust questioning of witnesses giving evidence on Labour – I have treated cross examination on this issue just like any other. Inevitably I have been criticised for this but I have no regrets – it would have been cowardly to do otherwise because people’s right to freedom from hatred and prejudice is bigger than any one individual or party in my view. It is grossly insulting to suggest that those of us who recognise this – Labour Party members or otherwise – do so because of some desire to score political points either between political parties or within them. But, in the end, this report is about much more than the Labour Party. It is about antisemitism in our society, the levels of which shame our country. We must all work together to rid our country of it wherever it appears.